In 1871 the Sacramento Street Railway Company purchased 33 acres east of the Sacramento city limits. The site was essentially rectangular, with an extension to the northeast. Hoping to attract riders to this weekend destination, the company used the land for a park along its streetcar line. Suburban growth stretched out from the city, and neighborhoods quickly replaced the park’s rural surroundings. 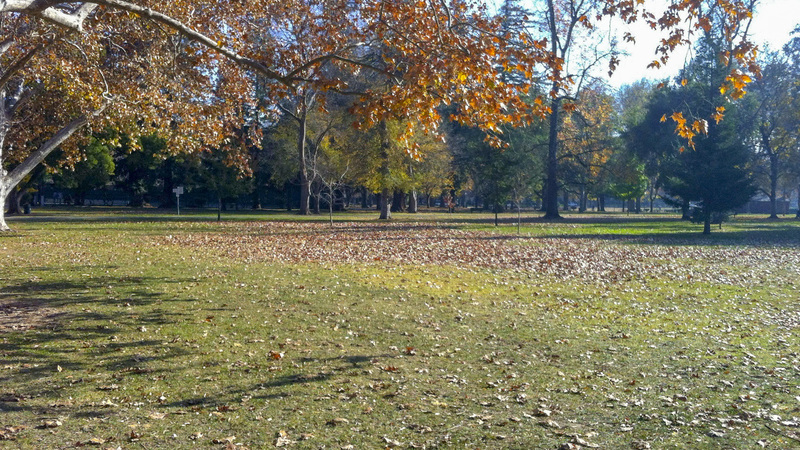 The city purchased the park in 1902 and changed its name from East Park to McKinley Park in honor of President William McKinley. The park’s perimeter is lined with ginkgo, mulberry, and sycamore trees, and curvilinear paths wind through its interior. Remnants of a slough were transformed into a naturalistic lake (known as Lake Kiesel) in the park’s southwest portion; the rest of the grounds are relatively flat. Two large turf meadows are situated within the park, one in the northwest corner and another on the eastern side of the parcel. Mature London planes, elms, oaks and coast redwoods are placed in stands and groups throughout the site. 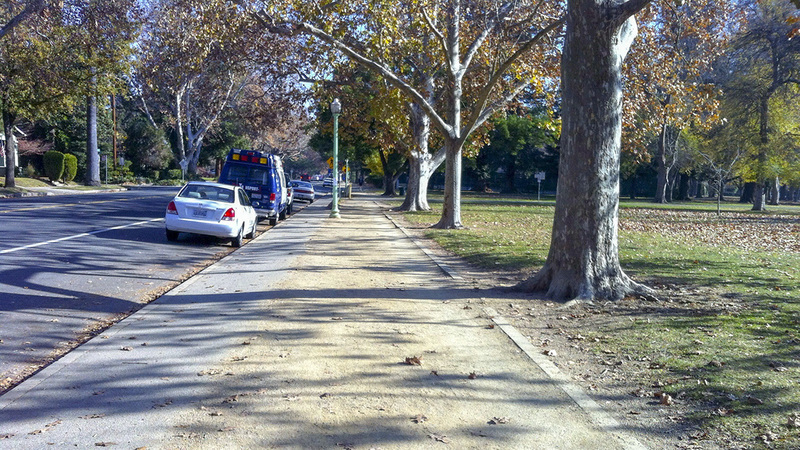 The streetcar route adjacent to the park was lined with an allée of date palms starting at the southwest corner and continuing to the northeast; this entrance now serves as a parking lot, though several palms remain. 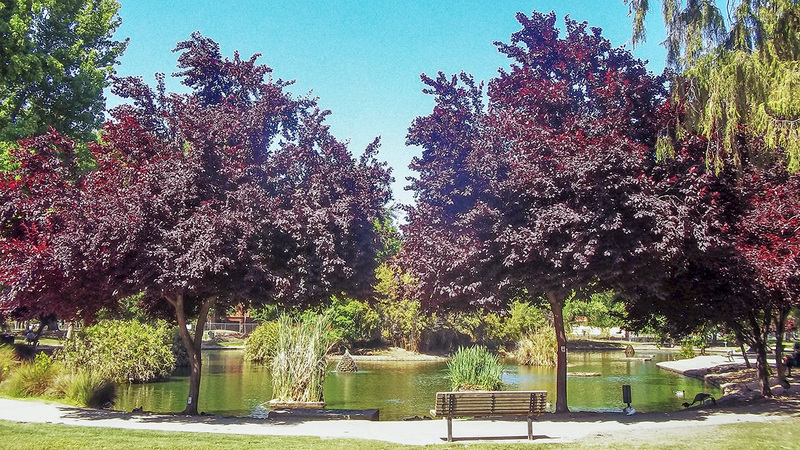 In 1928 Sacramento’s first parks superintendent Frederick Evans established a rose garden in the park’s southeast corner. 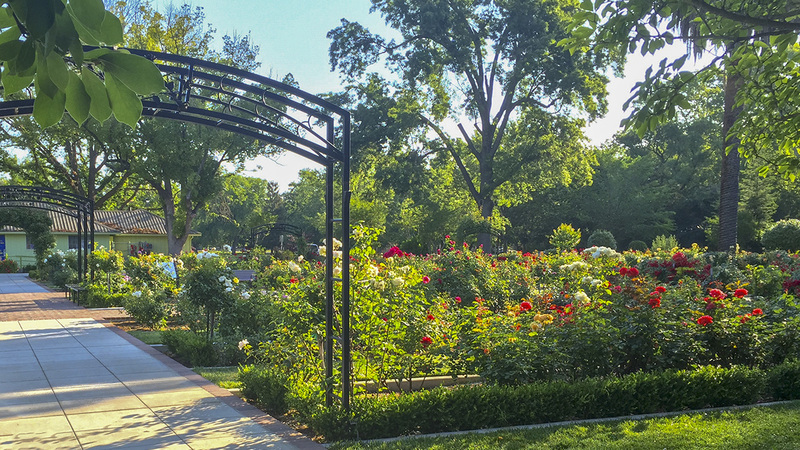 With an array of planting beds and interstitial turf arranged in an oval, the rose garden’s highly structured character stands out from the rest of the grounds. 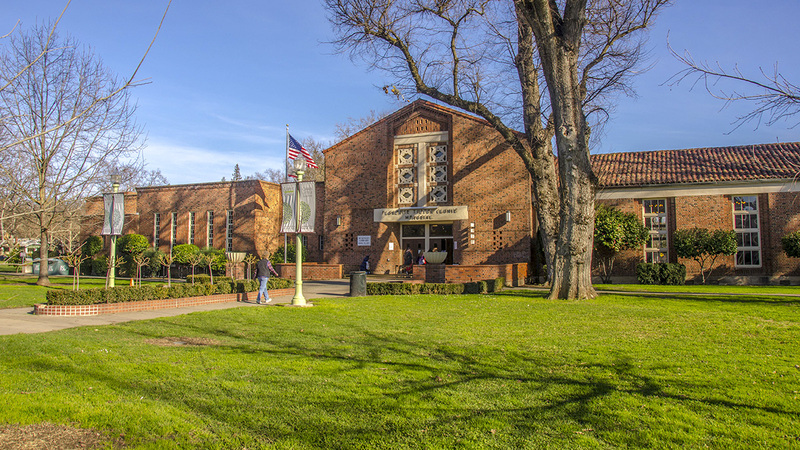 Community amenities built throughout the twentieth century include a pool, community center, children’s playground, library, picnic areas, tennis courts, and a baseball diamond. In 1958 an arts building was opened in the northeast section of the park.